You can't make a rainbow without a little rain, which is why we made this Rainbow Unicorn Umbrella. 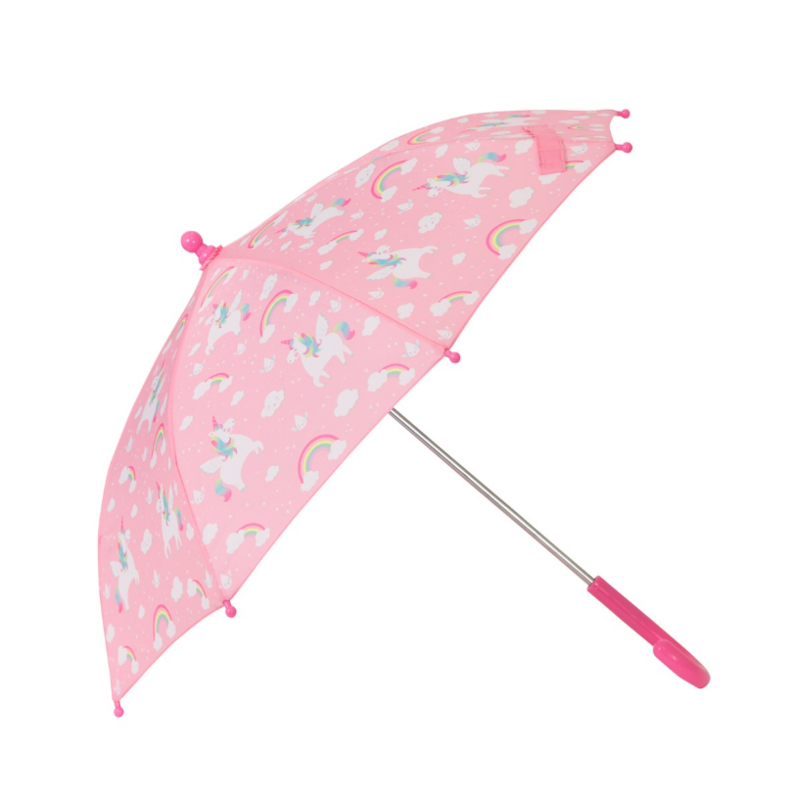 We know a little bit of rain is enough to ruin even the best day, but with this pretty and adorable umbrella in your life, even the most miserable weather can't stop those fun and magical vibes! 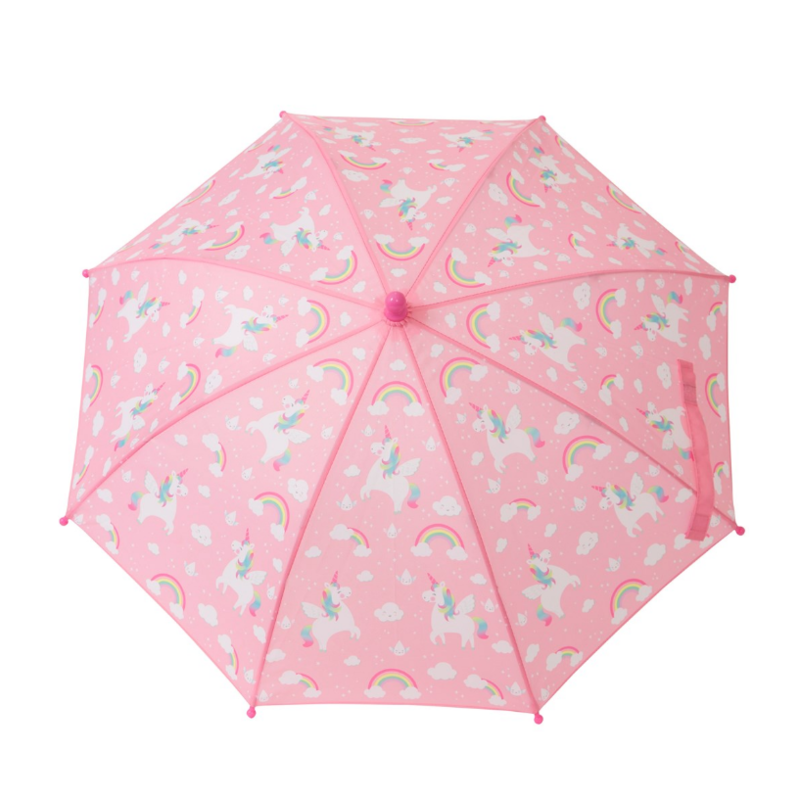 Perfect for little ones who love all things pink and unicorn! 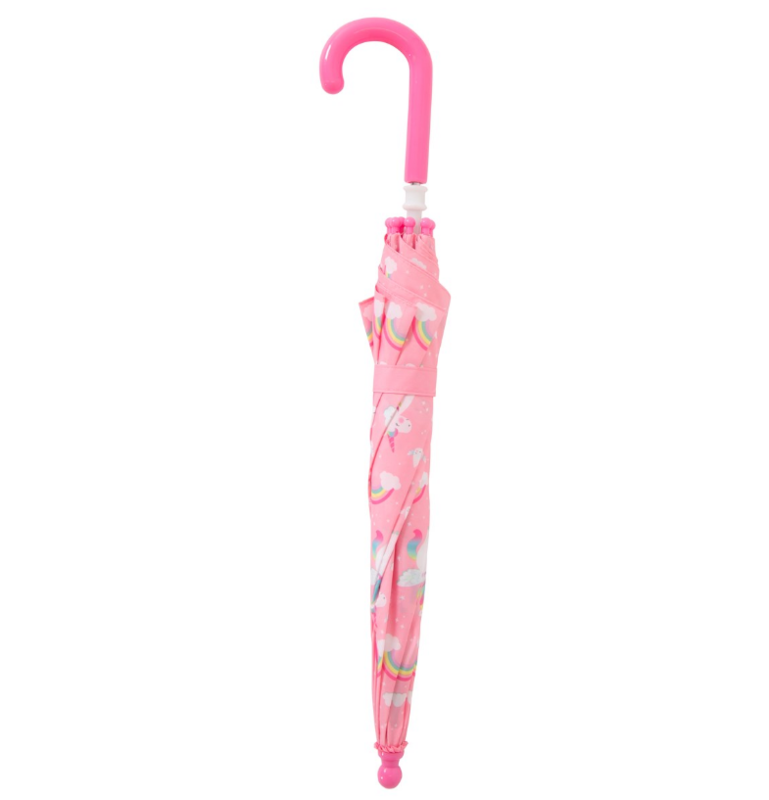 Although we can guarantee a dry head, we cannot promise to protect from those irresistible puddle jumps!